DESCRIPTION: This forty-hour, five-day course is designed for those newly assigned to bicycle patrol work. This course covers basic cycling principles and skills; including riding in traffic, bike fit, gear selection, basic maintenance, health, nutrition, emergency handling skills, hazard evasion, night riding, patrol tactics, legal issue, traffic law, and scenarios. To successfully complete the course students must pass a fifty question written examination, pass an on-bike road skills test, and pass an on-bike police cycling skills test. 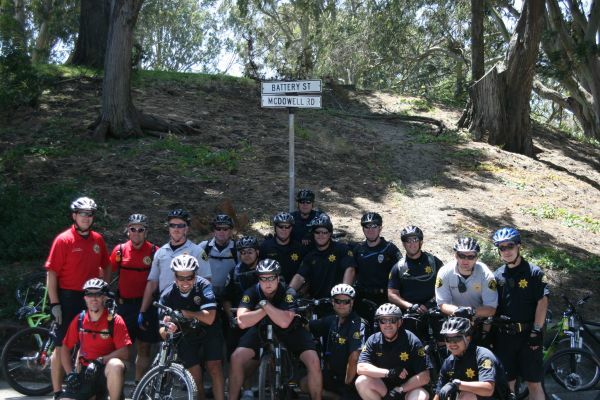 INSTRUCTORS: Sergeant Havens is a California and Utah POST Certified Basic and Advanced Bicycle Patrol Instructor. Sergeant Havens has been teaching Basic Bicycle Patrol for the Alameda County Sheriff's Office and teaching Basic / Advanced / Bicycle Patrol Instructor Development in Moab, Utah in conjunction with the University of Utah and Utah POST since 2001. 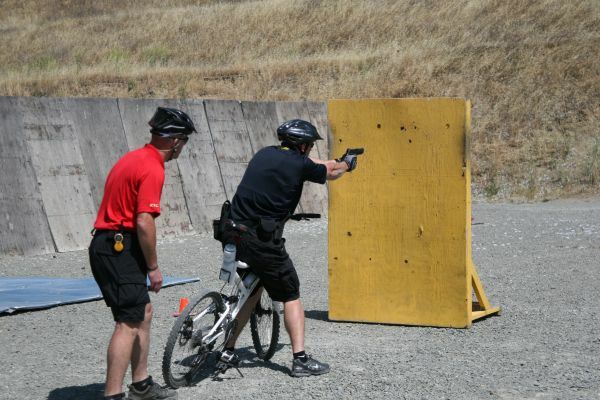 David Brady is a Captain with the Alameda County Sheriff's Office, ACSO Certified Bicycle Patrol and Firearms Instructor and a Gold Medal winner in both World/Fire Games and California Police Summer Games in Dual Slalom and Downhill Mountain bike racing. PREREQUISITES: Students should be in excellent cardiovascular condition, as they will be expected to ride a bicycle between 15 to 30 miles each day. Students must be regular or reserve peace officers in federal, state, or local law enforcement All students who are not members of the Alameda County Sheriff's Office must sign a liability waiver. PRESENTATION HOURS: This is a 40-hour course that starts at 0800 each day. PRESENTATION DATES: See below for each class. CERTIFICATION: POST Plan IV. POST Cert #1010-23820. REQUIRED EQUIPMENT: A mountain bike suitable for patrol, including non-knobby tires, and foot retention system (toe clips or clip less pedals) are required for this course. Each student must have a Snell, ANSI, or ASTM approved bicycle helmet, eye protection, and padded cycling gloves. Weather appropriate comfortable cycling clothes are worn on the first two days only. During the last three days of class, students will wear their full bike patrol uniform. Each student will need their protective vests, firearms, complete duty belt with baton, and 150 rounds of duty ammunition. Note-taking materials are needed for classroom sessions. RESERVATIONS: This course is limited to 20 students and reservations will be made on a first come, first serve basis. Use the "Register for Class" link to submit reservations on-line. If you need information please call Melisa Tolero at (925) 551-6970.